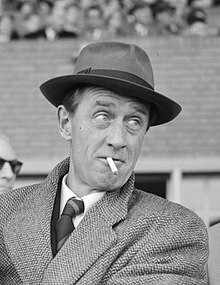 During his management of Ajax, he spotted the young Johan Cruijff who was to go on to develop Buckingham's ideas into the mature concept of Total Football. Buckingham's ideas were radically ahead of his time - engendering total football philosophies and youth systems - and earned him a continental reputation (especially in Spain where he was appointed coach of FC Barcelona and then Sevilla FC) which more often than not overshadowed his talent back home. While Buckingham was one of the first English managers to coach top European sides like Ajax Amsterdam and FC Barcelona, and had Johan Cruyff as one of his biggest fans, he remained largely unremembered in his native England. He died in Chichester, England age 79. This page was last edited on 2 January 2019, at 02:37 (UTC).